Granbury is the perfect spot for family fun for the whole gang. Here are some spots you will not want to miss! We have options that will keep everyone entertained. Your first step should be the Visit Granbury website. This is a great resource that helps you plan your trip. It has everything from upcoming events, a restaurant guide, museum lists, outdoor activities, and lodging options. 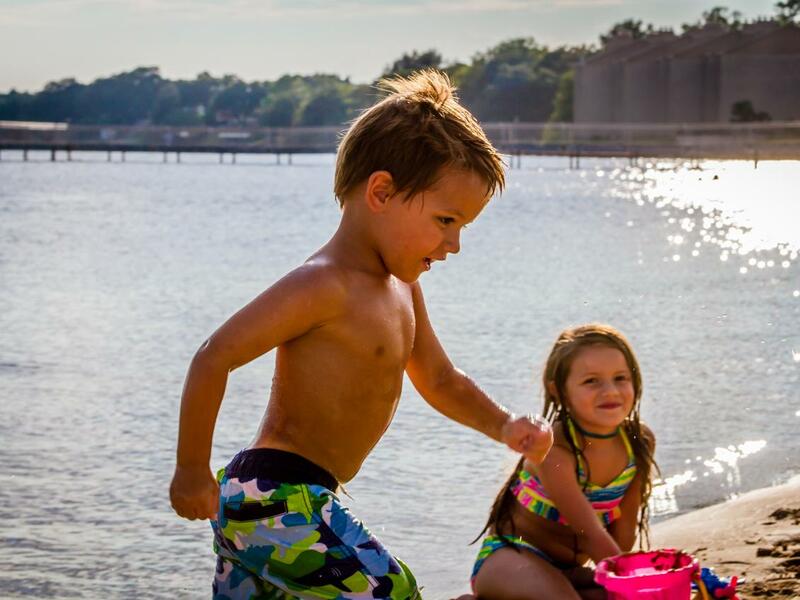 The Hilton Garden Inn is a great place for families to stay. It is located right on Lake Granbury, and next to City Beach Park. It is also within walking distance of downtown Granbury and the historic square. The staff is friendly, and they serve a full breakfast. The kids will love the make-your-own waffles! A few steps away from the Hilton is City Beach Park. This is a sandy beach right on Lake Granbury, great for lounging and building sand castles. Younger kids will love the spray park. Bring a picnic and soak in the rays! Stumpy’s is fun destination for lake lovers. Grab a picnic table near the water and enjoy fish tacos or delicious burgers, po’boys, and ice cream. You can also rent a watercraft here. Take the family out on a pontoon boat, or explore on a jet ski. This laid-back spot is a perfect place to relax and enjoy the lake vibe. This is also a good place to purchase clothing and gifts. If you want food the whole family is craving, we recommend Linda’s Southern Kitchen. If your grandma made it, you will find it on Linda’s menu. Chicken pot pie, meatloaf, catfish, burgers, and chicken fried steak are just some of the options. Remember save room for dessert! Linda’s has a great selection of pies! Linda’s is on Crockett Street, just south of the Square. The Fillin’ Station is another family-friendly option right on the Square. The atmosphere of the Fillin’ Station is pure 1950’s and 60’s automotive nostalgia. The menu has a great selection of burgers, sandwiches, and appetizers. Try the sparkplugs and the cobbler! The Fillin’ Station’s patio is a fantastic place to take in the Square and the courthouse. The kids will love sitting outside and people watching. You will not want to miss the Doll House Museum. Just a few blocks away from the Square, this museum is a great experience for doll lovers and everyone who appreciates learning about history. The curators will give you a guided tour that is fascinating for your little ones and you. Shopping is a delightful here, because each shop has unique finds. Art lovers will want to stop by Artefactz. Resident artist and owner, Cynthia James creates one-of-a kind museum quality art glass jewelry and sculptures. Working in dichroic glass, mold-able precious metal, clay, and found objects, Cynthia James creates works of art for your home---and art you can wear. Artefactz also has a large selection of toys—including a large Melissa & Doug section. 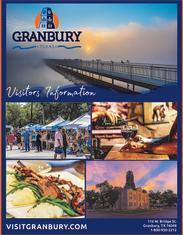 Shopping, dining, lodging, and activities for the whole family can be found at VisitGranbury.com! We hope you visit us soon!